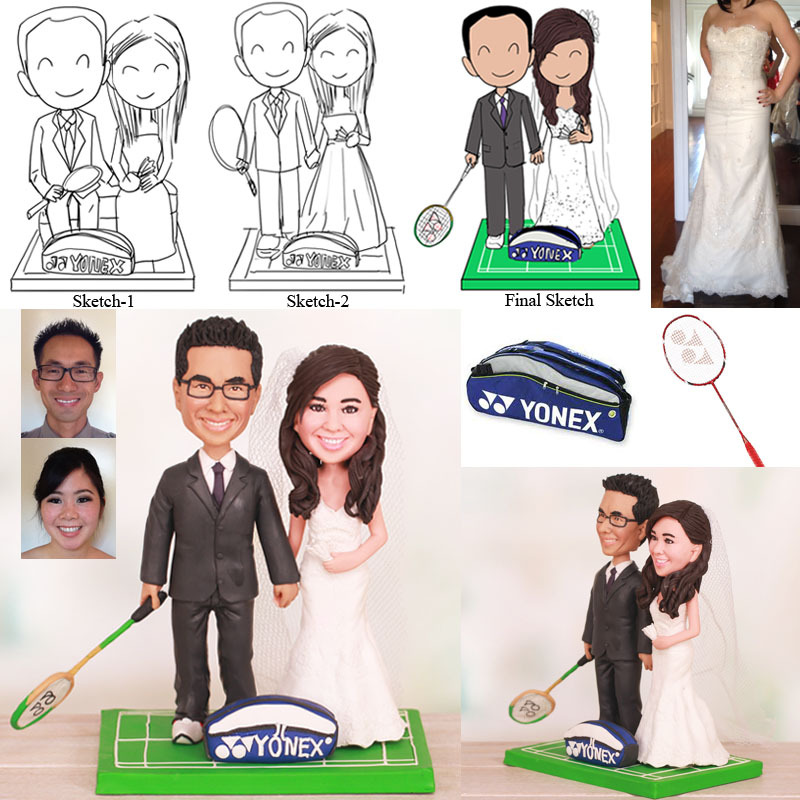 This is a completely customized badminton wedding cake topper ordered by one of our customers. 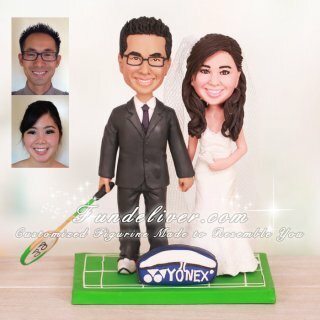 I would love to have a customized wedding cake topper of my hubby-to-be, Can, and I holding badminton racquets and accessories to really show our love of the sport. We met 10 years ago when I was just 17 and my normal mixed doubles partner was unavailable so a mutual friend set us up to play. Little did we know that this would end up being equivalent to a blind date situation and played every upcoming tournament together and got him his first mixed doubles trophy and we continute to play now but not as competitively (since we're older now and every joint in our body is sore/broken/old). It's funny because I always tell people of how we met and our cheesy one line is, "We met playing badminton and never stopped playing since." He literally is my partner on and off the court and I thought if I could have any piece of the wedding be customized I wanted it to be our cake topper to show how important this sport is to us. Considering half of the wedding guests will be badminton players I know that this will be a discussion piece and probably get you guys lots of business too :).